Prior to revealing the secret to her c The wealthy Glass family lost its patriarch, Benjamin Glass, sooner than expected. Benjamin’s widow, Olivia, and her 5 sons each react to his death in their own way while preparing for the reading of his will. Olivia receives a very unexpected confession from her late husband about one of their sons that could shatter the whole family. To ask other readers questions about Watching Glass Shatter, please sign up. James For some reason, I just saw this. : tried to access it. I'm so sorry it never appeared before for me to stop by. Thank you! The matriarch of the family is Olivia. Her husband Ben, the patriarch, has just died unexpectedly and she is left with their five grown sons, their families, and her sister Diane. She's also left with a secret from Ben regarding one of their sons. Olivia decides to take some time to spend which each of the boys and in doing so, she discovers that each and every one of them has their own little secrets they've been hiding. I was sucked into this story as soon as I started reading it. A worry that I had was that with all the characters in the book, I would get confused and lost because each of the sons have their own family members as well, but not once did I have an issue with it. The characters are so well detailed and described. After reading about each one, I felt that I knew this family and they all felt so realistic to me. I think overall my favorite character was Diane, but as the story moved on, it became Olivia. In the beginning, I almost couldn't stand Olivia, but she begins to change. As she discovers so many new things about her sons and their spouses, she starts to realize that she's too much of a control freak and needs to let people make their own decisions. I loved this transformation, although it may not have been complete, she becomes more understanding, more kind, and less judgmental which I admired. The boys...where can I start? Each one is unique in their own way. I loved all of them, but my favorite son was Ethan. I had issues with Zach and a certain situation between him, Teddy and his wife, but it came together in the end which was unexpected. I couldn't wait to find out whether the Glass family would heal or simply fall apart. I was literally astonished by this book because it has many twists and turns. You just won't know unless you read it from beginning to end. I enjoyed the writing and the plot was unique to me. I thought the book was put together perfectly. Readers know that it takes more than just a good writer to offer a great book and everyone has their own opinions on this. Some say they need to be captivated and that the characters need good development. Others say they really want to 'think' or be taken on an adventure, but a good book to me is one that makes you feel, and this book did that for me. I had a myriad of emotions. I laughed, cried, jumped for joy, and got angry at times throughout the book. It's truly heart-wrenching at times! I can't remember the last time I was this emotionally involved with characters. It's definitely been a while! As far as the end, I liked it, but I expected something different. I wasn't sure if I was happy with Olivia's choices, or Rowena's choice for that matter, but it turned out that I was pleased with it. Overall, I enjoyed this book and I’d recommend this book to anyone. What a ride! I can’t wait for the next book. Every star for Watching Glass Shatter! Ben, the patriarch of the Glass family, has been killed in a tragic accident. Olivia, the matriarch, not only has to deal with the grieving process, but also with a secret of such enormity, that it will have the ability to tear this family apart. Ben left two letters with his lawyer to be given to Olivia on his death. One of them is for Olivia, revealing Ben's secret, and the other is for the son who will be most affected by it, though she doesn't know which one. She decides to spend time with ea Ben, the patriarch of the Glass family, has been killed in a tragic accident. Olivia, the matriarch, not only has to deal with the grieving process, but also with a secret of such enormity, that it will have the ability to tear this family apart. Ben left two letters with his lawyer to be given to Olivia on his death. One of them is for Olivia, revealing Ben's secret, and the other is for the son who will be most affected by it, though she doesn't know which one. She decides to spend time with each of her sons before finding out which of them this secret affects. Olivia thought she knew her sons really well, but she's about to discover that they all have secrets of their own too! This was very much a character driven novel, and with quite a large number of family members ( Olivia, her sister, and Olivia's five sons and their families ) I expected to get a bit lost along the way, but that wasn't the case. We were provided with an in depth look at each of them, giving great insight into what made them tick, how their vices or issues affected the way they interacted within the family dynamic. There were tears, laughter, hope, and forgiveness. My initial thoughts on reading the synopsis were, sounds intriguing - well let me tell you, when I started reading this novel that quickly changed to, boy this is really gripping! James Cudney deserves credit for this debut novel, he's taken me on such an emotional journey and really brought his characters to life in terms of personalities and feelings, and with such a unique storyline it makes for a real page turner! Wow! Wow! Watching Glass Shatter is a gripping family drama by new author James J. Cudney aka Jay to many of us in reviewing circles. When I began reading I expected to like the book; I never expected to spend the entire day with a "can't put down" novel! Once I became involved with the Glass family, I had to see it through to the end! The patriarch of the Glass family has been killed in a tragic accident. After his death the family is shattered but we soon learn that the cracks and fissures already were there yet no one was looking closely enough to see. Glass also left a letter for his widow that ultimately could/would change her life and possibly one of her five son's life forever. The book is written in a manner so that we, the reader, have an opportunity to get to know Olivia, the widow, and her sons individually and in depth. We learn their dreams, hopes, fears and secrets. We then view each person with Olivia and examine their relationships as they morph through the grieving process. Most importantly, we watch as they grow into themselves and into the realization that their father/husband is gone forever and their secrets have destroyed the best part of their family. This book played on my emotions in a very real way. I laughed, I physically ached at times, I cried for happiness and I cried in mourning with this family. Cudney has a gift, a true gift, for expressing, describing, the innermost thoughts and feelings of his characters in a way that you can relate to deeply. It didn't matter if it was the youngest son, the disgruntled daughter in law or Olivia, with whom I closely identified. Cudney paints their personalities with a vivid brush. You will become part of this family. A great debut from James Cudney! From the outside, the Glass family seemed to have it all. Ben Glass the patriarch, is a partner in a successful law firm. His devoted wife Olivia and their five grown and successful sons. Ben was tragically killed in an accident. He’s left behind two letters with his lawyer for his grieving wife to open upon his death. The second letter has the potential to rip apart his already grieving family. As Olivia decides whether or not to A great debut from James Cudney! Ben was tragically killed in an accident. He’s left behind two letters with his lawyer for his grieving wife to open upon his death. The second letter has the potential to rip apart his already grieving family. As Olivia decides whether or not to open the letters, she spends extra time with each of her sons to reconnect. What she discovers is secrets and deception. How well does she really know her sons? All it takes is one pebble to crack the glass. Leaving it weakened and prone to shatter when the next pebble strikes. An original and clever premise. Had me intrigued right away! With a large cast of characters, I was concerned I wouldn’t be able to keep them apart. But fortunately, they were all very well defined. And I had no difficulty following along. Well done! Very enjoyable read! Thank you to James Cudney for providing an ARC to review in exchange for an honest review. A Traveling Sister read which included Norma, Brenda, Susanne, Lindsay and Marialyce! “Watching Glass Shatter” is an intimate look into the lives of a family. “The Glass Family”....is as complicated as any family can be. With 5 adult children - all sons- we are reminded that we never stop being children. The author’s writing is subtle — it works it’s way into our heart and mind so that we have real feelings for the characters. Each with struggles -and or secrets. At its ‘heart’....”Watching Glass Shatter” is about love and how love shapes us - transforms us..... when it’s importa “Watching Glass Shatter” is an intimate look into the lives of a family. At its ‘heart’....”Watching Glass Shatter” is about love and how love shapes us - transforms us..... when it’s important to reach out to someone —when to stay quiet — when it’s important to let go— and all the consequences of the choices we make. A very delightful novel - easy to devour it. I did. It’s rich, funny, sad, and hopeful....a perfect balance of sweet, sour, salty, and savory! Is there any better time to read a book about family dysfunction than around the holidays? James J. Cudney's Watching Glass Shatter is an immensely readable, deliciously soapy novel about a family on the verge of being torn apart by secrets. It's also a commentary about how when it appears people have it all, they often aren't satisfied, and things are much more complicated than they seem from the outside looking in. Ben Glass and his wife Olivia are about I'm somewhere between 4 and 4.5 stars. Ben Glass and his wife Olivia are about to celebrate their 40th wedding anniversary. They have five wonderful sons, and Ben is in the process of beginning to plan his retirement from the law firm he has led tirelessly for years. But the family is thrown into turmoil by Ben's sudden death, which leaves Olivia shocked, despondent, and wondering what she is going to do with the rest of her life given all that she and Ben had planned. The truth is, Ben's death is actually not the worst of it. After reading Ben's will, his attorney reveals a secret a conflicted Ben has kept hidden for many years: when Olivia gave birth to one of their sons, the baby died shortly after his birth. Rather than tell Olivia, who was asleep at the time, Ben was able to find a young woman looking to give her infant son up for adoption, so Ben arranged for them to switch babies, and never said a word, although he always felt guilty and wanted to tell the truth. To make matters worse, Ben directed his attorney to find his son's biological mother upon his death. Only once the woman is located (if that is possible) can the information about which son this was be revealed. Olivia feels angry, betrayed, and utterly despondent that in addition to losing her husband and best friend, she has now learned she lost a baby years ago, and she may lose one of the young men she has raised from birth. As the attorney searches for the woman, Olivia decides to spend time visiting each of her sons, trying to determine if she can uncover the truth, but more importantly, ensuring that their lives are progressing the way that she and Ben hoped they were. In addition to experiencing a little friction with her daughters-in-law, what she finds is that each of her sons is carrying his own burden, his own secret that is torturing him. If all of these secrets are revealed they have the potential to destroy her family completely. There is quite a lot going on in Watching Glass Shatter and I just couldn't get enough of it. Some of the secrets I could see coming, but I was hooked from start to finish. I've seen that Cudney is a fan of soap operas, and that comes as no surprise reading this book, and that's part of what makes it so enjoyable. He deftly avoids the plot or the dialogue becoming too campy or melodramatic, however. You may know how this story will resolve itself, but it doesn't matter one bit, because you'll want to see it/read it with your own eyes. This is a compelling addition to the dysfunctional family genre, and I look forward to seeing what Cudney writes next! Olivia Watching Glass Shatter by James J. Cudney is a 2017 Creativia publication. Watching Glass Shatter is a gripping family drama. Having not read many family dramas before, I am glad I read this one. The Glass family has just lost its patriarch, Benjamin Glass. At the time of reading of his will, Benjamin’s widow, Olivia, receives an unexpected confession from her late husband about one of their sons that could shatter the whole family. Prior to revealing the secret to her children, Olivia decides to spend a week with each of her sons and discovers some more secrets whil Watching Glass Shatter is a gripping family drama. Having not read many family dramas before, I am glad I read this one. The Glass family has just lost its patriarch, Benjamin Glass. At the time of reading of his will, Benjamin’s widow, Olivia, receives an unexpected confession from her late husband about one of their sons that could shatter the whole family. Prior to revealing the secret to her children, Olivia decides to spend a week with each of her sons and discovers some more secrets while staying with each of them. It becomes clear that her husband was not the only one with secrets in this family. The book covers Olivia’s effort to reconnect with her sons all over again in an effort to reunite her family. Will Olivia be able to fix them or will the whole family implode? The story essentially is about a family’s struggles to cope with loss of a loved one and how they manage to come together once again. Watching Glass Shatter is well crafted character driven story. After the initial chapters, the books explores each of the character in depth (Olivia, her sister, and Olivia's five sons and their families ). We learn about their hopes, fears and secrets. We also examine their relationships with Olivia and how the family drifted apart over the years. The many characters may sound confusing, but that was not the case. Each character is extremely well written, with his own unique personality and a story. As the story progresses, we know about the Glass family more and more in detail, their innermost feelings and struggles and their secrets; (which we can relate to and which make them so real). What I liked the most was how the characters evolved through the course of the story. “Watching Glass Shatter” is a character driven novel written by James J. Cudney. This is a novel about a family whose secrets threaten to tear them apart. Olivia is the Matriarch, who, after her husband Ben’s death, is left to cope with a devastating secret involving one of her five sons, which threatens to destroy the family. As she spends time with Teddy, Matt, Caleb, Zach and Ethan, she realizes that each of them also has a shocking secret, and no one is left unscathed. In his first no 4 Stars. In his first novel, “Watching Glass Shatter” James Cudney has written a book involving distinct, extremely well developed characters. Each chapter is broken out by these separate characters and not once, did I get confused as to which chapter I was reading. I admit I had my favorite characters. I loved Olivia’s sister Diane, who everyone turned to in their times of need. I also loved Caleb, Olivia’s middle child. His struggle felt the most real and the most personal to me and I loved all of his interactions. While I felt that there were certain parts of the story that were a little implausible and needed more research, overall I found the novel be well written and funny at times, given the subject matter. Frankly, I was impressed that it was a debut. James, you did good! This was a Traveling Sister Read. It included Brenda, Norma, Kaceey, Lindsay and Marialyce. The discussions the book generated were phenomenal. Thank you to James J. Cudney for an ARC of this novel in exchange for an honest review. Published on Goodreads, Amazon and Twitter on 11.15.17. WATCHING GLASS SHATTER by JAMES J. CUDNEY was an interesting, entertaining, and a suspenseful family drama which was full of dynamic, well-developed and realistic characters. I absolutely love the cover of this book and that very clever title! I am totally a "cover girl" and when I seen that cover I just knew that I had to read this book. Although, I found a few things within this novel to be a little bit over the top it was just so much fun reading this with some laugh out loud moments that I f WATCHING GLASS SHATTER by JAMES J. CUDNEY was an interesting, entertaining, and a suspenseful family drama which was full of dynamic, well-developed and realistic characters. I absolutely love the cover of this book and that very clever title! I am totally a "cover girl" and when I seen that cover I just knew that I had to read this book. Although, I found a few things within this novel to be a little bit over the top it was just so much fun reading this with some laugh out loud moments that I found the most enjoyable. My absolute favorite character and chapters were with Caleb. Brenda and I prepared the review for this book together so instead of repeating the review here the full review can be found on our book blog which is noted below. This was a Traveling Sisters group read which I had the pleasure reading along with Brenda, Lindsay, Kaceey, Susanne and Marialyce. We had a great discussion with this book and it will definitely be a memorable one! Thank you so much to James J. Cudney for providing me with a copy to read in exchange for a review. This was a suspenseful family drama full of lively and secretive characters. The story kept me entertained and guessing from start to finish. I had the pleasure of reading this along with my Traveling Sisters - Brenda, Norma, Kaceey, Susanne and Marialyce. We had lots of theories, guesses and great discussion along the way. A big thank you to James J. Cu 4 stars! Watching Glass Shutter is an interesting, witty, heartwarming but yet a heartbreaking family drama that explores many family secrets within the Glass family and the familial relationships between mothers and sons. It has quite the intriguing mystery within the storyline which added some suspense to the story for us. What a clever title for this book as the Glass family’s life was shattered after the sudden death of Olivia’s husband. Through her perseverance by getting to know her sons again she began to piece her family back together giving us a clear picture in our minds of the glass shattering. Brilliant James! Imagine losing your spouse of 40 years...Devastating. As if that is not hard enough, imagine that you learn that your spouse has been keeping a secret from you and that secret is only revealed upon their death. What a blow! That is what happens in this book! Olivia's husband, Ben is tragically killed in a car accident. While sitting with her sons at the reading of the will, she is given two envelopes. One is for her to read and the other is for one of her sons to read. What she reads is a SHOCK to her. Naturally she is blindsided and angry. How could her husband keep such a secret? How did he pull it off? Olivia decides to spend a week with each of her sons and learns some "truths" while staying with each of them. It becomes clear that her husband was not the only one with secrets in this family. How well do we know those in our lives? How well do we know our children? Olivia learns a lot about her children through the course of this book. There are a lot of characters in this book, but it is easy to tell all of them apart. Each has his and her own personality, plus the chapters are titled letting the read know exactly who is in each chapter. Some brothers you will like more than others - or at least I did. We learn the secrets of each son and the motivation for keeping the secrets, well, a secret! Everyone thinks that their family is dysfunction to a degree, and this family is no different. I loved the scene where everyone's secret did come out! While reading this section, I wondered how this would have played out in my family - most likely louder and involving mass food consumption! This was a very well written (and thought out) debut novel. The characters are well written, and I had my favorites! 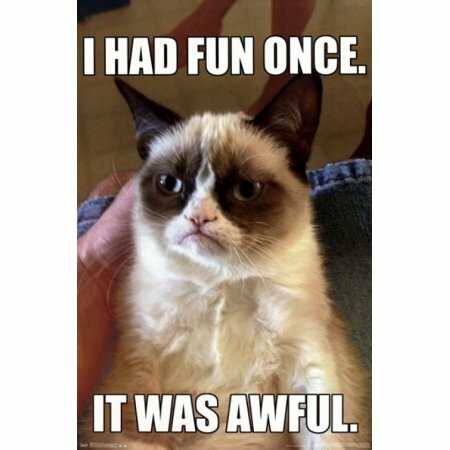 Some I felt for, some I rooted for, some I booed and hissed at (plus, I thought they got off a little too easy), some I cried for/with, etc. There also was some growth and insight (especially for Olivia) for most of the characters. It all comes down to family and what makes a family. I received a copy of this book from the Author in exchange for an honest review. My thoughts and opinions expressed in this review are my own. An awesome debut novel, by James J. Cudney, that reads like a movie script at a fast page-turning pace that keeps the reader involved with the Glass family from the beginning to the very end. The story entails the enlightenment of a family, to each other, and their journey to closure after the loss of the father unexpectedly. The characters are all very strong and their stories are extremely interesting as well as diverse. I enjoyed this book immensely and recommend it highly! Having been one of the privileged few to get my hands on an early copy of this book as a Beta Reader, I am extraordinarily excited to see this shared with the world at last. Having lost their patriarch, his wife Olivia seeks to heal her broken family whilst also dealing with the grief of his sudden loss. As we delve deep into the psyche of the Glass family, we unearth a series of earth-shattering (pardon the pun) secrets which has the potential to change their family forever. As Olivia grapples Having been one of the privileged few to get my hands on an early copy of this book as a Beta Reader, I am extraordinarily excited to see this shared with the world at last. Having lost their patriarch, his wife Olivia seeks to heal her broken family whilst also dealing with the grief of his sudden loss. As we delve deep into the psyche of the Glass family, we unearth a series of earth-shattering (pardon the pun) secrets which has the potential to change their family forever. As Olivia grapples with the extraordinary revelations of her late husband's will, we observe her changing perspectives of her picturesque New England family. What a wonderful and thought-provoking debut book this is. I have not found it easy to write a review without some level of spoilers. There is so much depth in the author’s writing. I was immersed in it right from the very start. The theme is all about secrets. The title is most appropriate. After forty years of happy marriage Olivia Glass… the mother of five sons is informed one day that her husband Ben has been killed in a car accident leaving her devastated. The family gather for the reading of the will when she is given a letter from her husband for her alone. She is shocked to the core by its contents. It reveals to her a secret she has known nothing about and cannot reveal to any of her family at this point in time. To discover the answer to this secret that her husband has kept from her throughout most of their married life he has instructed her to visit each of their sons and spend some time with them. When she discovers what she needs to know, there is a second sealed letter she must pass on to the appropriate son. During her visits to each son more secrets are revealed to her which which again leave her shattered. She finds she knows little of each of her son’s individual and private lives. The individual characters are so well drawn as the author deals with his characters by giving them chapters of their own as we learn of their secrets. I found Olivia (the family matriarch) to be a strong character. Although she loves her sons she is the sort of dominant person who both likes and expects to control. She rarely stops to think about other’s feelings before she speaks. This is made very clear as the book progresses. I found myself disliking Olivia more and more. Each chapter is told from one or other of the in-depth character’s viewpoint including Olivia’s own personal reaction as she learns so much more of the lives of each son. As more and more secrets are revealed there is much emotional stress going on among these compelling characters and their mother. In any book of fiction, the characters must grow in one way or the other. This is so evident in every family member including Olivia. I began to admire her as she comes to terms with the family secrets and her own greater understanding of both herself and her sons. This is one of the best books I have read in a long time and I found it a real page turner. It touched my heart and moved me to tears more than once. I recommend it highly. If you are a fan of character driven novels, then you are in for a treat with Watching Glass Shatter. This fine book written by a new author, James, Cudney, is a powerful look into family and its dynamics on members of the family and others within their circle. The family patriarch, Ben, has been involved in an awful automobile crash that takes his life and eventually involves his family in a secret that may have devastating results. Olivia, his wife, is a strong minded, authoritarian parent and If you are a fan of character driven novels, then you are in for a treat with Watching Glass Shatter. This fine book written by a new author, James, Cudney, is a powerful look into family and its dynamics on members of the family and others within their circle. The family patriarch, Ben, has been involved in an awful automobile crash that takes his life and eventually involves his family in a secret that may have devastating results. Olivia, his wife, is a strong minded, authoritarian parent and when she is given a letter from her husband at the reading of his will, she is thrown off kilt. The family is comprised of five sons grown to adulthood each of which have had close ties with their dad. Unfortunately, because of circumstances, the boys have grown apart each one leading a life that also contains secrets. It seems at the point of Ben's death, the family is in need of once more finding its way back to each other and their mother. Olivia takes it upon herself to reestablish the connections with her sons. She is determine to become a part of their tangled lives and try to help them move forward in a way that will benefit them and the people they have chosen as partners. In the process, Olivia recognizes in herself her inability in the past to let the boys make their own decisions without her stepping in. She can see her sons are unhappy. They are devastated by the loss of their father whom they dearly loved and respected. Some of them are ashamed of what they have done and are doing. Some of them are embarrassed to embrace their weaknesses and one of them is about to hear more devastating news. Their father's letter to their mother will change many things, although the boys are not privy to its contents, Olivia will cope with its effects and in the long run enable herself to find and help her sons. I truly enjoyed this book as it allowed the reader to get to know the characters. I was not at all a fan of Olivia but as the book progressed, I came to see that she was trying to change not only her sons but also herself. Olivia's sister Diane, a minor character was wonderful. She always provided both the boys and her sister a voice of reason and steadfast advice. It's hard for me to say which one of the sons I liked best. They all were fine young men, flawed for sure, but each one of them managed to stand tall and make changes in their lives that were meaningful and set them on the right path. "Watching Glass Shatter" is the debut novel of James J. Cudney and it is phenomenal! Olivia and her sons and the rest of the characters are well-rounded, developed, complex characters. There were points where I wanted to "Gibbs' slap" each of them in turn, but they're all terrific characters. I can also identify with each of them in turn as they deal with the various pressures and secrets in their lives. Zach and Caleb are my favorites. They seem to have a hidden depth to them and I want to get t "Watching Glass Shatter" is the debut novel of James J. Cudney and it is phenomenal! Olivia and her sons and the rest of the characters are well-rounded, developed, complex characters. There were points where I wanted to "Gibbs' slap" each of them in turn, but they're all terrific characters. I can also identify with each of them in turn as they deal with the various pressures and secrets in their lives. Zach and Caleb are my favorites. They seem to have a hidden depth to them and I want to get to know them even more than we do in this book. The setting descriptions were slightly wordier than I tend to like, but they worked in this book. I didn't feel as though they pulled me out of the story as setting descriptions sometimes do. I tend to prefer more basic descriptions, but the wordiness worked in this novel and it didn’t detract from anything at all. The plot line is so dramatic and amazing. How Ben’s secret affected Olivia, how the secrets of the boys affected their relationships in the family, everything was excellent. There was just the right amount of suspense for a dramatic novel without there being too much suspense. After becoming a grumpy cat and and losing faith in finding a good book, I remembered one of my reading goals for this year and it was: to read a book written by a Goodreads friend. Watching Glass Shatter restored my lost faith, gave me a huge dose of entertainment and really surprised me! In my last book review, I apologized to Margaret Atwood for the low rating, now I need to apologize to James for not having read this earlier and for not having higher expectations. If you want to know how this After becoming a grumpy cat and and losing faith in finding a good book, I remembered one of my reading goals for this year and it was: to read a book written by a Goodreads friend. If you want to know how this book felt, in short, it had the same vibes as Without Merit by Colleen Hoover, and although I enjoyed that book, I have to agree with many reviews which said that it had way too many elements and that it should have focused on one subject. The thing that this book excelled in!! Also this is a character driven book, with multiple POVs and many backstories of the characters, the writing style was good and humorous, the pacing was fast and it was just so good that I almost had the Cheshire cat smile on my face the whole time I was reading this. I don't want to write a summary as the book synopsis had done that in a good way, but this was so relateable as I come from a family with almost the same construction as the Glass family, the similarities were uncanny!! So, the decision to read this book was one of the best decisions ever, I can recommend this to everyone, so if you haven't read it yet, go and pick it up quickly! 4.5 stars for this wonderful debut novel! Full disclosure, I received a copy of this novel for my honest review. I'm not going to go very deep into summary or thoughts on specific scenarios simply because I think this is a must-read and the reader must form his or her own opinions. Books about family secrets tend to be unoriginal. Watching Glass Shatter is definitely not that. I found the plot to be surprisingly refreshing. When I first learned of the meat of Ben's secret, I knew I had to keep rea 4.5 stars for this wonderful debut novel! Books about family secrets tend to be unoriginal. Watching Glass Shatter is definitely not that. I found the plot to be surprisingly refreshing. When I first learned of the meat of Ben's secret, I knew I had to keep reading. What made everything even more intriguing was the fact that particular secret was only one of many. I felt compelled to see how everything was pulled together. I particularly enjoyed how well the characters are developed and how much background the reader is given. In the same breath, I can see where reading through all of this background can be a little tedious, but it's definitely worth it in the end. The latter part of the novel is so beautifully written. The lessons learned and the outcomes of the various events are pulled together so nicely. I teared up in a couple of places. The themes and lessons learned may be specific to the Glass family, but there are many universal feelings and ideas implemented within them. For a first novel, it leaves very little to be desired. I was definitely impressed. 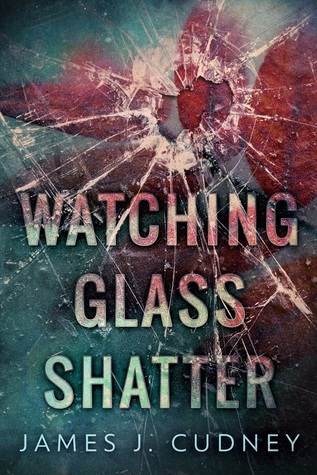 Having followed James Cudney's blog and his reviews for some time, I knew he could write, and my expectations for his first novel Watching Glass Shatter were not let down. He has a style of writing that immediately drew me into the story, and it is certainly quite a story! I don't want to give anything away, because it is a mystery and the sense of suspense I felt throughout my reading made this such an enjoyable, memorable book. I love a thriller based around the intrigues of a family and Cudne Having followed James Cudney's blog and his reviews for some time, I knew he could write, and my expectations for his first novel Watching Glass Shatter were not let down. He has a style of writing that immediately drew me into the story, and it is certainly quite a story! I don't want to give anything away, because it is a mystery and the sense of suspense I felt throughout my reading made this such an enjoyable, memorable book. I love a thriller based around the intrigues of a family and Cudney delivers just this. The patriarch of the wealthy Glass family, Benjamin Glass, dies and leaves behind a widow and five sons. Benjamin, however, told his widow a secret about himself and one of their sons, most affected by this, which could really stir up the family and change their lives forever. That being said, she doesn't actually know which one of his sons Benjamin was referring to, so she does a bit of detective work, spending a week with each of them. I won't give anything away, but lets just say there are plenty twists and turns I didn't see coming! While the mystery really held my attention, I am such a character-driven reader and the big cast of characters in this book appealed to me. It can be a challenge to add depth to multiple characters in a novel such as this and still keep the tension high, but Cudney did it very capably. I felt this was more than a typical mystery, because there is so much thoughtful commentary on family and what it means to be linked in this way, even when we are adults. I was intrigued by each of the characters, but I think Ethan might have been my favorite to read about. I also liked how Olivia developed from someone I didn't like much at first, to a 'real' and engaging character. There were so many individual stories to learn about, and they all came together nicely, providing a satisfying conclusion and one I had not guessed. I am quite enthusiastic about this book, for one because it is was just good, but also because, amid the sea of crime fiction I have been devouring lately, it stands out as something a little different, a little more multi-faceted. I can't believe Watching Glass Shatter was a debut novel, and very much look forward to James Cudney's future work (one more book is already available!). Recommended for fans of character-driven mysteries with intricate plots! This novel was so compelling. Although some dragged and sometimes I felt there might be too many sons in thee mix I grew attached to each brother. The trouble Olivia faced pushed this strong woman into making difficult decisions. Her situation made more complex as each hidden truth was unveiled. It was worth the effort to get to know this family. Before getting into nitty-gritty, I must get this straight; this is my unbiased, 100% honest opinion. NOTHING affects my review for this book. I just wanted to make this crystal clear. Now that the housekeeping is done, let’s talk about my thoughts and feels on this book. First and foremost, I loved this book so much. The plot is well-thought out and intricately and methodically crafted. The execution is great, especially the last several chapters are stunningly beautiful, incredibly gut-wrenchin Before getting into nitty-gritty, I must get this straight; this is my unbiased, 100% honest opinion. NOTHING affects my review for this book. I just wanted to make this crystal clear. First and foremost, I loved this book so much. The plot is well-thought out and intricately and methodically crafted. The execution is great, especially the last several chapters are stunningly beautiful, incredibly gut-wrenching, this is surprisingly and astoundingly a great read for a debut author. That said though, I must admit that I felt the first 30% of the book, especially when the story moves onto the introduction of each of The Glass siblings a bit lackluster in comparison to the latter part of the book. I did think the author did an amazing job of weaving and intertwining each character’s story with the main plot and I do understand it is part of the story build-up, yet I have to say it was a bit less strong and compelling. I was kind of gliding through the pages to see what happens next (sidenote: each chapter ends with a bit of a cliff hanger, which is partially what makes this book such a page-turner). I know I’m being a bit too rigid and nitpicky, that’s my nature, I cannot help it. For me, it was from Chapter 10 where the plot really thickened and got more and more intriguing and emotionally engaging. Olivia’s attempts to reconnect with each of her sons and put the family together kind of backfires and she finds herself plunged deeper into a complete mess. From then onwards, I got completely hooked and couldn’t stop turning pages. The characters are all well-drawn out; they all feel realistic, down to earth. There are, at times, actions/behaviors that I found a tad over the top (as in Olivia screaming at the top of her lungs) though, it didn’t hinder me from savoring and devouring this book. The strong, solid and lyrical writing shore up the already gripping story to be even more gripping, evocative and compelling to read. Honestly, this is one of the most therapeutic, heart-breaking yet stunningly beautiful family dramas that I have read all year. The intricately woven family stories – Olivia’s and her sons journey of reconciliation and rebirth, and their pursuit of happiness hit all the right notes with me and made me bawled so hard; I blame the author for all my tears and emotional mess – this book is definitely right up my alley as a reader who cherishes and adores the vicarious ride of a roller coaster of emotions. I honestly say it’s hard to believe this is a debut novel; the solid writing exudes the feel that of experienced authors, and I got completely swept up in my emotions by the dialogues between his characters. The dialogues are what makes this book really shine. In particular, Olivia’s speech at Ben’s 70th birthday party was utterly stunning. This is where I felt the author’s sincerity and integrity most strongly. Olivia’s words and all the characters’ lines made me laugh, disturbed and broke my heart. Despite all the emotional havoc that I went through from reading that scene, I didn’t feel it was over the top. Yes, there’s a lot of drama, but it’s simply beautiful and poignant, the author struck the perfect balance so as not to let the scene and the whole book be reduced down to an over-the-top, overdramatic family saga. He did an amazing job of pulling the feat off. Tip my hat to the author. Really well done. There are times where I was kind of put off by the characters’ actions and there were scenes that I felt slightly ‘off,’ especially in early part of the book, but like I mentioned, from Chapter 10 the story really took off and I got so invested in each and every one of the characters. I especially disliked – hated – Olivia with a passion at first. She came across really judgmental, obnoxious and domineering. There are lines that I could barely suppress my anger and frustration towards Olivia’s discriminatory, judgmental remarks towards her family members. But at the same time, it was her initial obnoxiousness that eventually made this book really entertaining and enthralling to read through. As I said, she was really an ‘old-witch’ and she was a type who wants to take a full control of everything – she seems to have felt no qualm of conscience about bulldozing her own way which the quality I hate the most. Nevertheless, as the staggering revelations are made and the realization that she has been completely blind to her sons’ issues dawns on her, she breaks down the façade as a domineering matriarch and develops herself into a more accepting woman. Her change is apparent in her words and following her journey of self-discovery and reengineering was such a delight to me. Her growth put a smile on my face and made me attached to her a lot more than before. Through the agonizing journey she was forced to set out after Ben’s death and revelation, she becomes a veritable matriarch who is affectionate, generous, kind and humorous. I enjoyed her self-development tremendously. It is also really therapeutic to see how the family comes together once again. The Glass family crumbled to bits once, but each and every one of them picks themselves up from the debris and strengthens the bond much stronger than it had been. And the execution is simply spot-on. It felt so natural, no embellishment whatsoever. I loved that so much. Throughout this book, the Glass family left a huge impact on me and I honestly didn’t want this story to end. I was in no way ready for leaving them behind and getting myself back to reality. I love every one of them. Olivia, Teddy, Caleb, Zach, Matt and Ethan. They are all great and endearing in their own way and I am sure I’ll reflect on them every now and then. This is no doubt a well and beautifully-written, delightful read and I am sure you will shed a lot of tears of sadness, joy and happiness. The last 10% of the book left me sobbing. The emotional impact that book left on me was much bigger than I had anticipated. I’m seriously having a book hangover - like I said, I don’t want to leave the Glass family, I want to relive the moments that I shared with them. You might want to fasten your seatbelt and get ready for an emotional roller coaster. The last several chapters will definitely make you cry your eyes out – buckle up for the emotional mess and sleepless nights! Although I ducked a star (to a half star; I’m still debating) for a teeny bit lackluster (but steady) buildup which goes on up to 30% of the book, given the fact I’ve become much harsher on books and ratings (I don’t give a book 5 stars unless the book utterly blows me away), 4 to 4.5 stars is undeniably commendable, I reckon! Thi I’m completely in awe that Watching Glass Shatter is James J. Cudney’s debut novel. As a strong supporter of up and coming new authors, I read several debuts a year. This one has blown the rest completely out of the water. I ugly cried and everything, multiple times. There are actually a few reasons why Watching Glass Shatter has become my favorite debut. Obviously the plot plays the biggest part (it’s uniquely brilliant), but also because the quality of writing is wonderfully well-polished. Not long ago, I read Father Figure but Cudney, and after, I just knew I had to read Watching Glass Shatter! They are both very different books, but equally as good! Also this one had some interesting secrets! What I liked best about this book is it is very character driven. I'm sure I've said this numerous times but those are my favorite kind of books. There were a lot of POV's, and I've read books where the personalities feel too much the same or that they are there for no reason. But like Six o Not long ago, I read Father Figure but Cudney, and after, I just knew I had to read Watching Glass Shatter! They are both very different books, but equally as good! Also this one had some interesting secrets! What I liked best about this book is it is very character driven. I'm sure I've said this numerous times but those are my favorite kind of books. There were a lot of POV's, and I've read books where the personalities feel too much the same or that they are there for no reason. But like Six of Crows (completely different genre), they perfectly fit in the puzzle of this novel. I felt for the mom, Olivia, especially. As a mother, sometimes I think I'm doing things not enough or that I could have done things better. But no mother is a hundred percent perfect, we try our best because, and each day is a learning curve. And I loved her character! There was a choice between Zach Glass and another character that most people would want to whip out the witch hunt torches for, but sometimes, things happen. As long as it isn't a repetitive circle I believe people should be forgiven. Wow, what an extravagant book! I was initially drawn to this novel because I loved reading Jay’s reviews and other writings on his blog. His blog was one of the very first that I had followed and I highly enjoyed his his daily updates. Now, that has no bearings on my review if I don’t enjoy a book from a fellow blogger, I simply let them know and don’t waste either of our time posting. What sealed the deal for reading this story was the incredible cover, synopsis, and many other glowing recommen Wow, what an extravagant book! I was initially drawn to this novel because I loved reading Jay’s reviews and other writings on his blog. His blog was one of the very first that I had followed and I highly enjoyed his his daily updates. Now, that has no bearings on my review if I don’t enjoy a book from a fellow blogger, I simply let them know and don’t waste either of our time posting. What sealed the deal for reading this story was the incredible cover, synopsis, and many other glowing recommendations. Starting this book I had no idea how invested I would become in the characters and how incredible and well written this story would be. Watching Glass Shatter was everything I was craving in a story plus more, all wrapped up in one book! The plot flowed smoothly. It was complex and brilliant. Mr. Cudney created unique characters that I fell in love with and orchestrated a perfect blend of humor, tragedy and realistic features. I enjoyed this book on many levels. I liked the way the author structured the book to allow the reader to get to know the characters and their relationships in a very straight forward way. I appreciated the fact that the book was tightly written, with plenty of character development, but no unnecessary padding. I look forward to reading more from this author.